Nothing gets a party going and people excited like a decades party and the 90's are the new "it" theme! People love to get dressed up in their favorite 90's attire and take a journey to a past decade. Its a proven success. 1990's currently have the widest range audience so it pleases more people than other decades such as 80's 50's etc. We see it all the time. We even host a "Name that theme song" game as well as 90's trivia to interact with the audience. When you book with Bronco, you are guaranteed great entertainment and an authentic experience that is nostalgic and memorable. If you are in need of entertainment for a group, we are your crowd pleasing specialists. It's what we do! 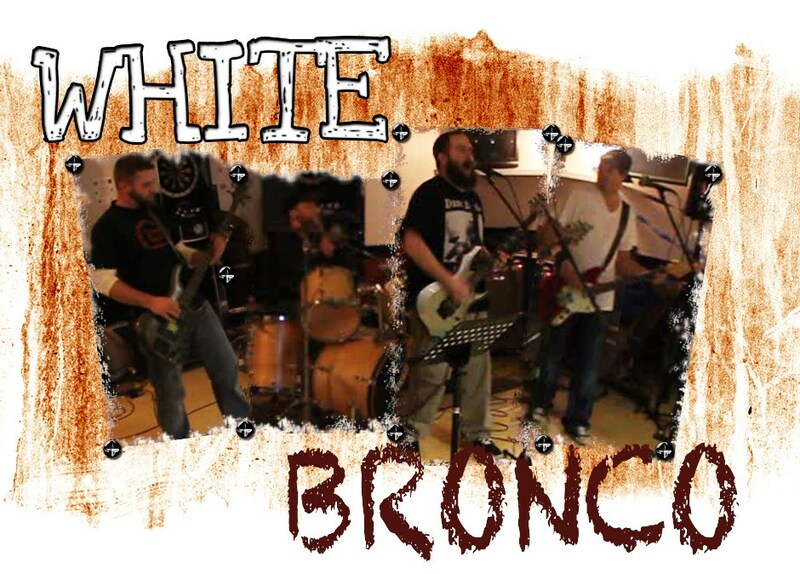 White Bronco is a four piece cover band bringing back the best in 90's rock, alternative rock and grunge. Bronco consists of experienced Western New York musicians from leading local bands. Drummer Chris Valone (No Prevail) provides the energetic pulse of the band along with Jay Driscoll's (Dross) punchy five finger bass lines. Lead guitarist/vocalist Brian Bundy (Kokomo Time Band/Tasteful Nudes)provides the bulk of the vocals and face-melting solos while cruchy chord connoisseur Russ Faraci (D I V I N O R U M/Tasteful Nudes) lays down nostalgic guitar rhythms we all know and love. WB covers the top hits and rarities from artists such as Nirvana, 311, Weezer, Smashing Pumpkins Sublime plus many more. They also pull out some "one hit wonders" from the era such as Spacehog, Harvey Danger, Everclear, and even occasionally throwing in a few crowd pleasing hip hop and r&b renditions from artists like Blackstreet and Nelly. Currently, White Bronco is booking for its 2015-16 season with up to five hours of crowd pleasing selections that fit most any venue. WB is quickly generating a "buzz" in the local music scene and already has a respectable following. 90's music is making a huge comeback and the demand is higher than ever. “We all grew up listenining to 90's music, and I think getting to perform and play the music of your heroes, is what drives the bands passion and energy onstage....” says band founder Russ faraci. We also have a DJ and graphic artist amongst the group and we are experts at promoting and designing flyers, Facebook events, posters, etc. We have no problems helping in that department and giving suggestions for things like decor and publication. For more information, check availibility, or to request a promo kit, please message us and we will promptly reply. We are also on facebook and other social media sites and heavily promote events if requested (at no additional fee). Thank you for your for your consideration. Please note White Bronco will also travel to FORT ERIE, Tonawanda, Depew, THUNDER BAY, CRYSTAL BEACH, Grand Island, RIDGEWAY, Bowmansville, Getzville, Hamburg, Lancaster, Orchard Park, Spring Brook, STEVENSVILLE, Athol Springs, North Tonawanda, East Amherst, Elma, Lake View, North Evans, Clarence, Derby, NIAGARA FALLS, East Aurora, North Boston, Clarence Center, Eden, Marilla, Sanborn, West Falls.